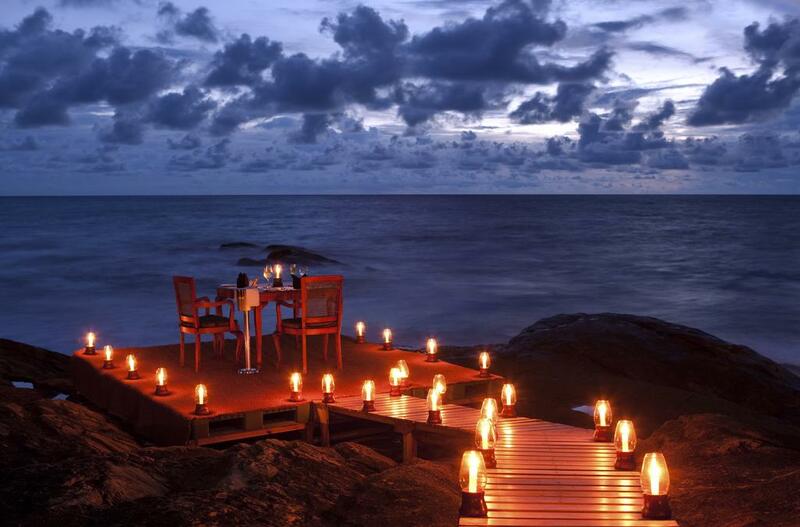 While hotels are many and more on this beautiful island, a romantic getaway should be special by all means. We have handpicked a few of the finest selection of boutique hotels that Sri Lanka has to offer for your 2018 Valentines Holiday in Sri Lanka. Tangalle is a popular fishing town in the southern coast of Sri Lanka, wherein which an 800 meter crescent shaped beach location is completely captured by Amanwella. The name of this luxury resort is derived by combining the words “peace” in Sanskrit – Aman, and “beach” in Sinhalese – Wella. 30 suites are available on this contemporary style beachfront resort, each featuring its own plunge pool and terrace, thereby giving maximum privacy to its guests. On one side of the shoreline are palm trees and thickened vegetation while the other side boasts massive boulders. 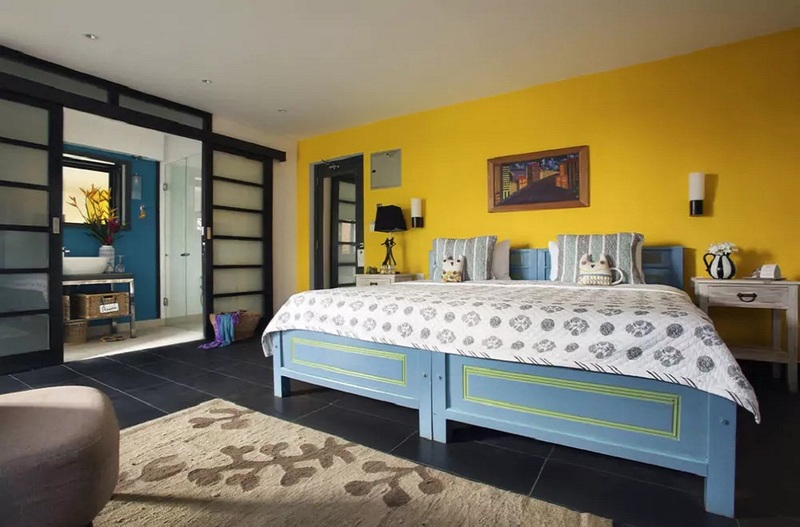 The design of this boutique resort is inspired from the great architect Geoffrey Bawa. Working with the naturally elevated land, Amanwella’s swivel windowed restaurant and bar are located above a spacious swimming pool and the luxury suites peep out from the hillside opposite. Private dining, personalized service, cozy suites and a lovely spa: Saman Villas offers everything you need for romance and relaxation during your holiday in Sri Lanka. The location benefits from infinite views of the Indian Ocean: Bentota in the north and Induruwa in the south, both of which are accessible by hotel guests. The classically styled Sri Lankan interior is loved by many and has made it a landmark of this boutique hotel. While dramatic views are a common-er in all suites, some of them have private balconies overlooking the ocean while some suites have their own private swimming pools! Romantic private dining here involves a table arranged on the deck above a rocky headland, offering stunning sunset views. 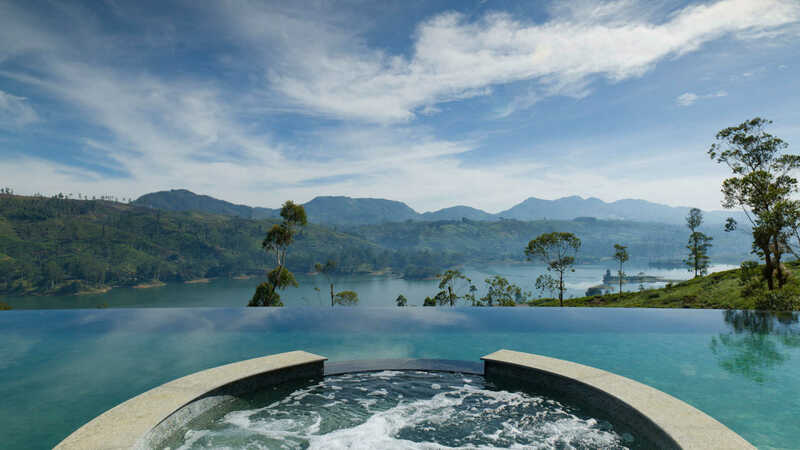 Ever heard of a luxury holiday resort located amidst a tea estate? Ceylon Tea Trails makes it happen, giving you and your partner the perfect surrounding to re-connect with tranquility. This resort consists of five bungalows from the colonial era, restored on the lines of the gold standard for luxury bungalows in Sri Lanka. Each private room has a dedicated butler service and your romantic honeymoon package comes with excellent gourmet cuisine. And what’s more? All this pampering comes with an exceptional view! Stand anywhere on the property of Ceylon Tea Trails and you will have breathtaking panoramas of the central highlands – mountains, lush tea fields and cascading waterfalls. Another one-of-a-kind escape is offered by Chena Huts by Uga Escapes – luxury camping at Yala National Park. Recognized by Conde Nast Traveler’s Hot List in 2017, this is one of the best properties in the world that has recently opened its doors. 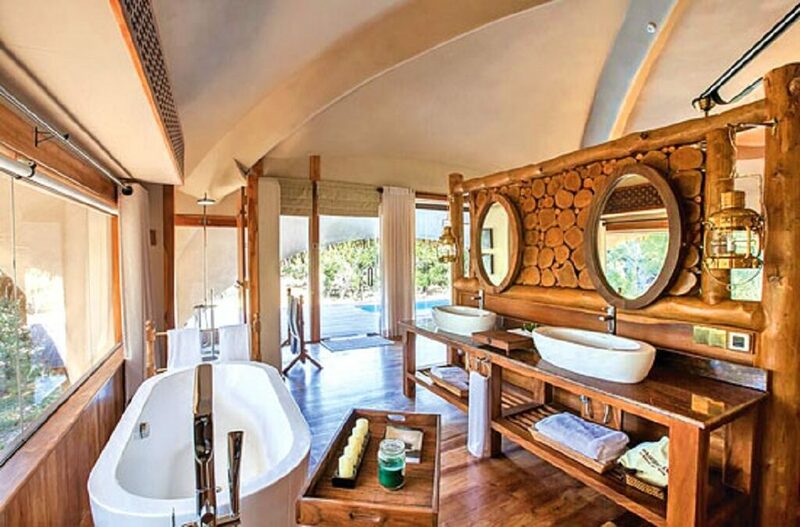 Each of the spacious 14 cabins are designed to blend well with the jungle atmosphere, each boasting a living room, bedroom, attached bathroom, a shaded outdoor deck and a built in plunge pool. The luxury in the bathrooms exhibits two vanity consoles and a free standing bathtub. These ultra-luxury air conditioned cabins, accompanied with serene landscapes and spectacular views of wilderness and sea scape makes Chena Huts the ideal romantic getaway for a luxury safari holiday. Stay, Eat, Drink and Relax at this small luxury boutique hotel in a small town known as Talpe, close to the city of Galle (south western coast of Sri Lanka). The design of this hotel is quite simple and unpretentious, yet reveals a sense of fun, romance and food. The tranquility of this place is highlighted much, making dining on the terrace a peaceful affair. While at the Owl and Pussycat Hotel, you can take a swim in the 17 meter long pool overlooking the ocean, enjoy spiced cocktails at the beach shack, workout at a gym or yoga session, or simply chat away with your loved ones at the Edward Lear Drawing Room. Each of their 17 suites are uniquely designed in 4 different colors: blue, beige, pink and yellow. The romantic getaway package at this hotel comes with a free dinner and a couple’s body massage to spice up your valentines this year. So all you got to do is pick one or more of these top notch hotels and get in touch with Blue Lanka Tours. We will make sure you enjoy this romantic getaway and spend some alone time with your loved one to bring back the sparkle in your lives during the season of love.